High-velocity outflows from the GC, or a misinterpretation? Will a superwave arrive around July 2013 and cause a widespread catastrophe? Do neutrinos break the speed of light limit? Is physics in crisis? A review of the most recent data on galaxy evolution shows that the subquantum kinetics continuous creation theory of galaxy formation is correct. 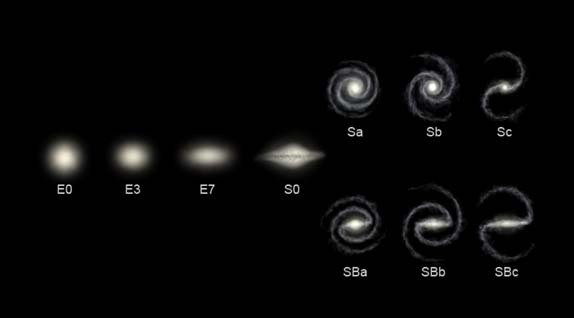 That galaxies progressively grow in size and mass, proceeding from dwarf elliptical to S0 to mature spiral and finally to giant elliptical. 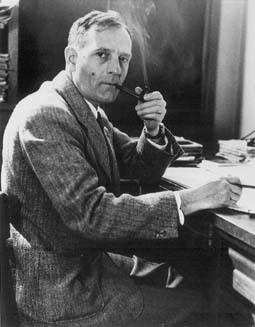 The data also call for the reinstatement of the galaxy evolution theory which Edwin Hubble and Sir James Jeans proposed in the early 20th century. It indicates that Hubble’s “tuning fork” diagram of galaxy evolution was largely correct with one exception. The elliptical galaxies on the left should be considered dwarf spheroidals and dwarf ellipticals while the giant elliptical category should be placed in a new branch to the right of the spirals, with both spiral category branches evolving into the giant elliptical category. Hubble’s classification scheme is used even today. Even so, astronomer’s today have largely rejected Hubble’s evolution theory in favor of galaxy merger theories. In the ebook fourth edition of Subquantum Kinetics, Paul LaViolette discusses recent evidence which supports the subquantum kinetics galaxy evolution model, as well as the Hubble-Jeans evolution model and shows that the current galaxy merger theory is seriously problematic, as is the big bang theory. Starburst relies on donations and bequests from the general public, charitable institutions, and the business community. Every contribution helps. Copyright 2010 The Starburst Foundation. A non-profit scientific research institute.